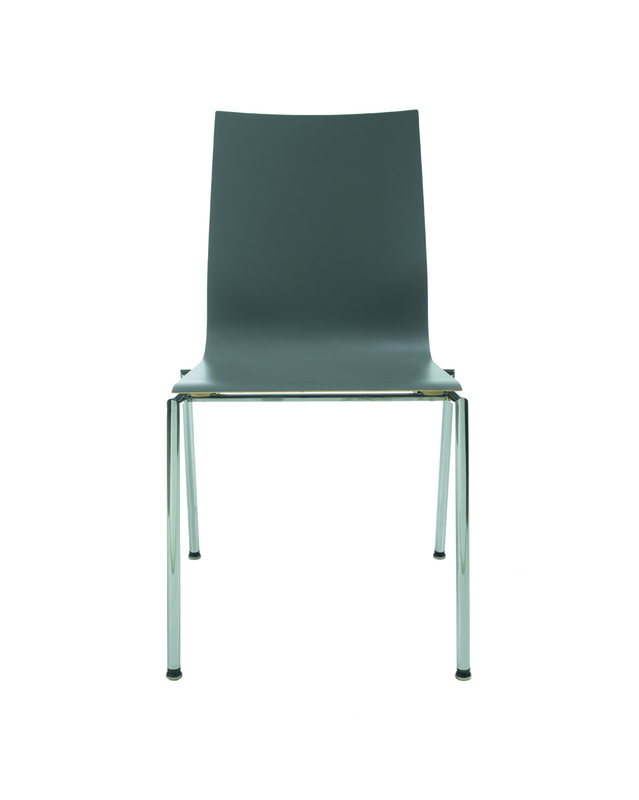 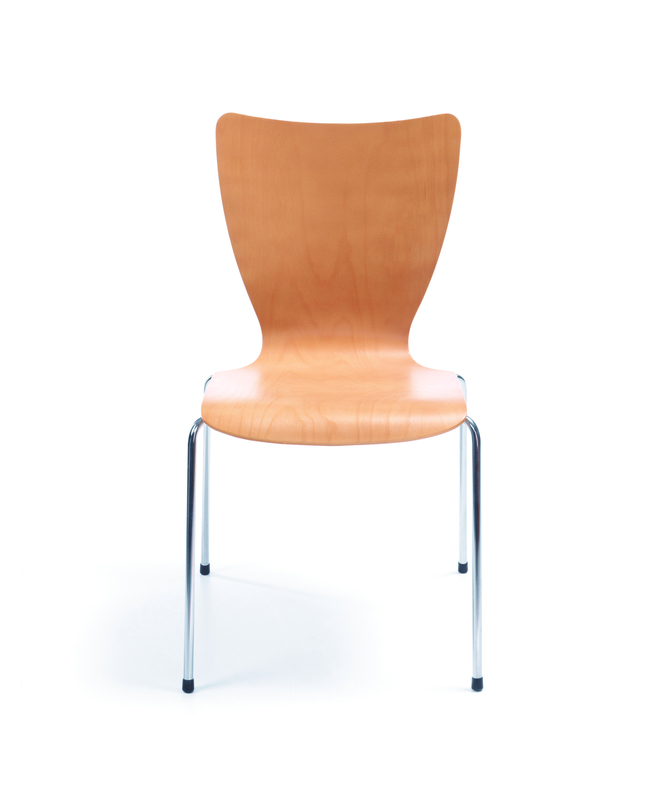 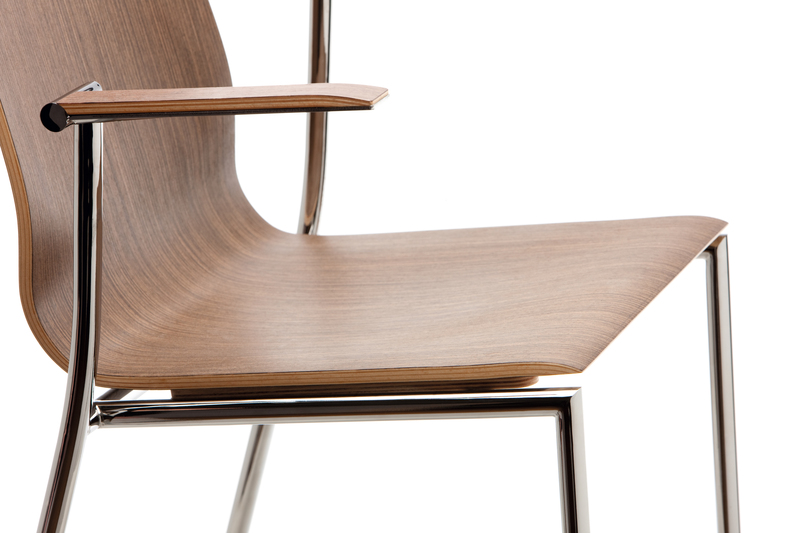 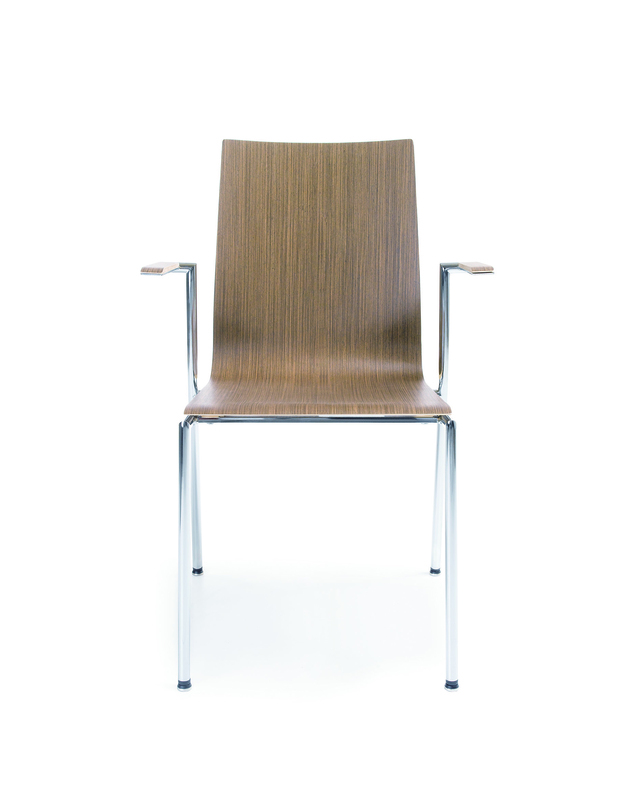 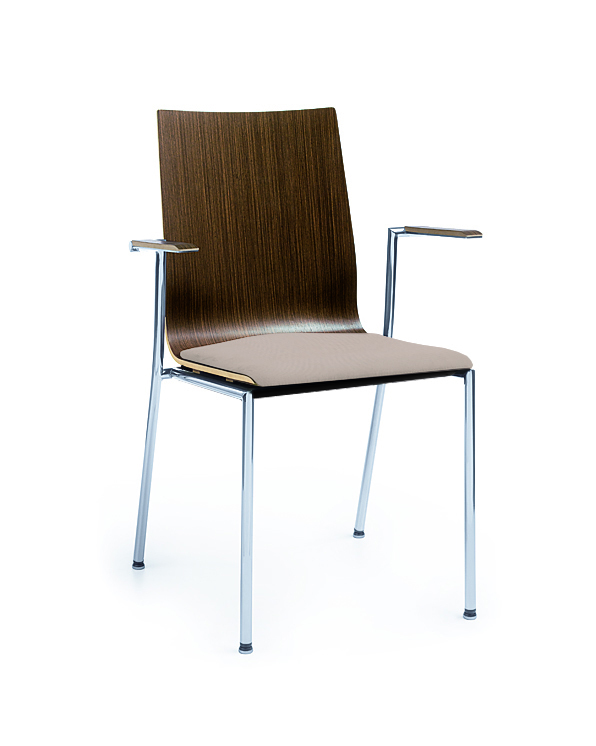 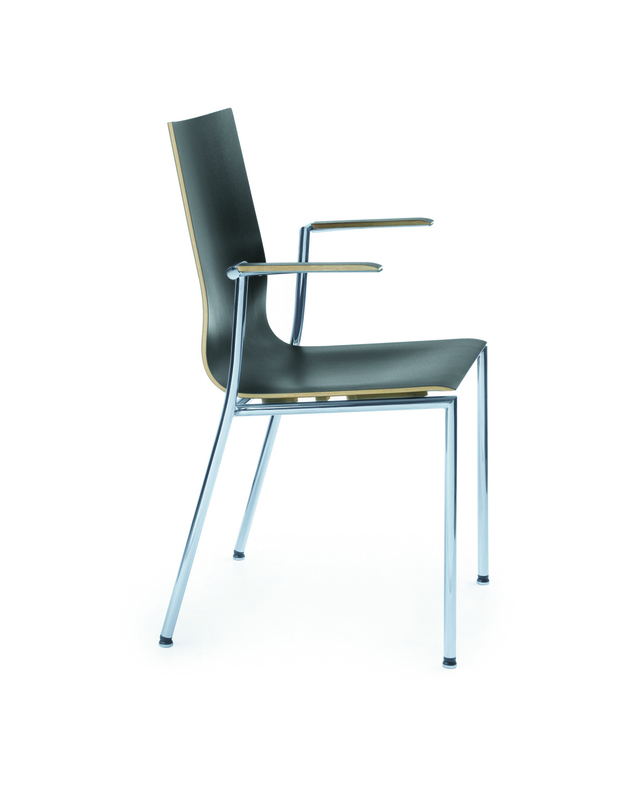 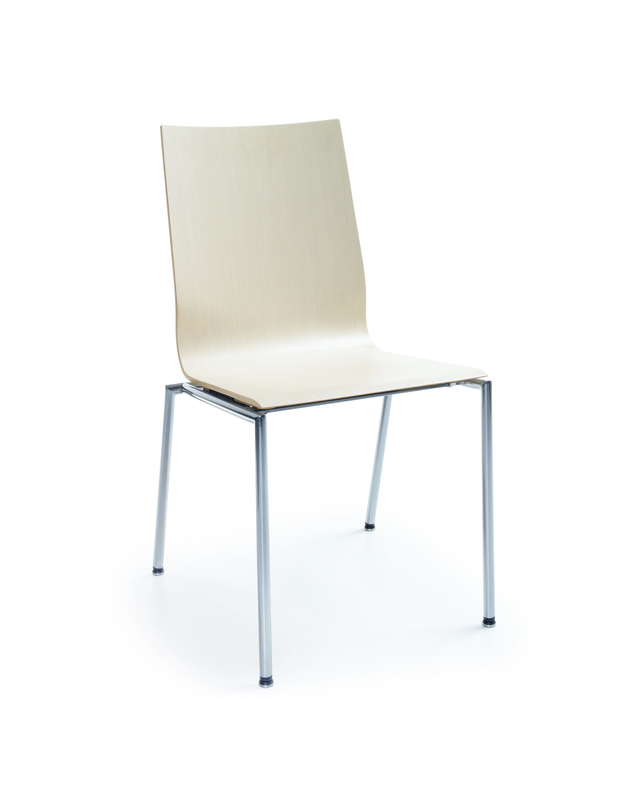 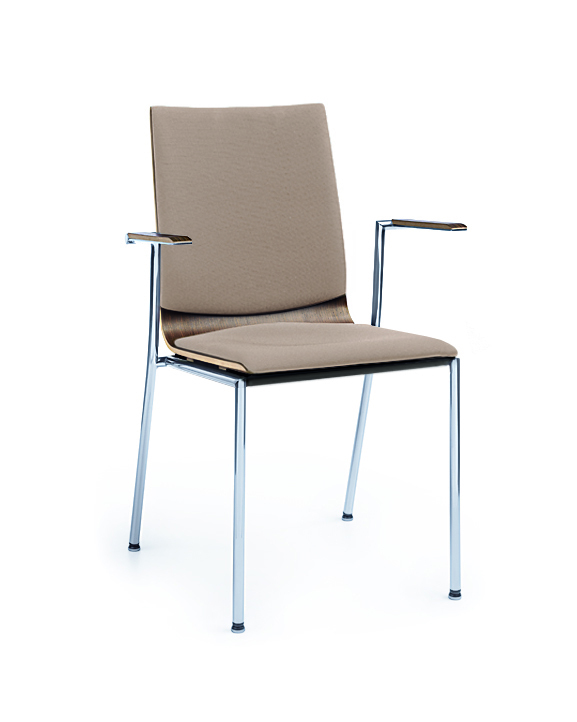 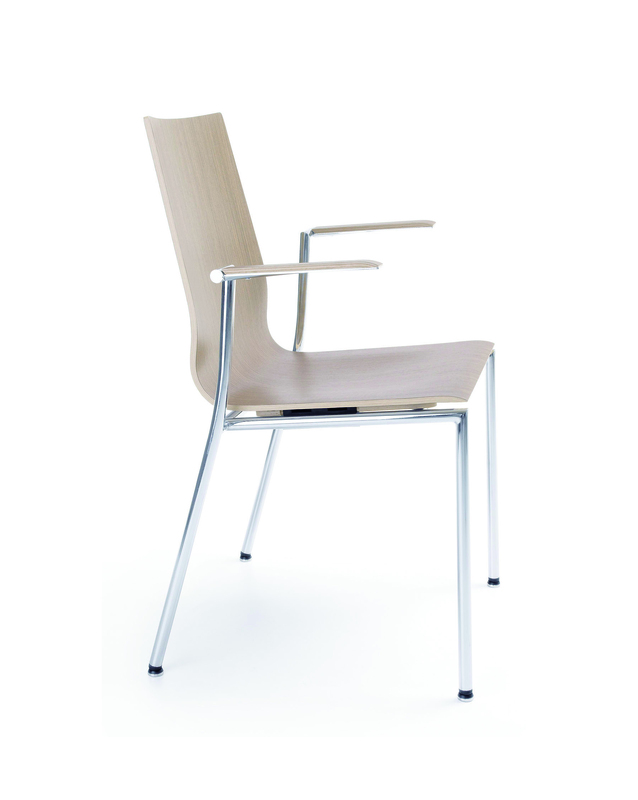 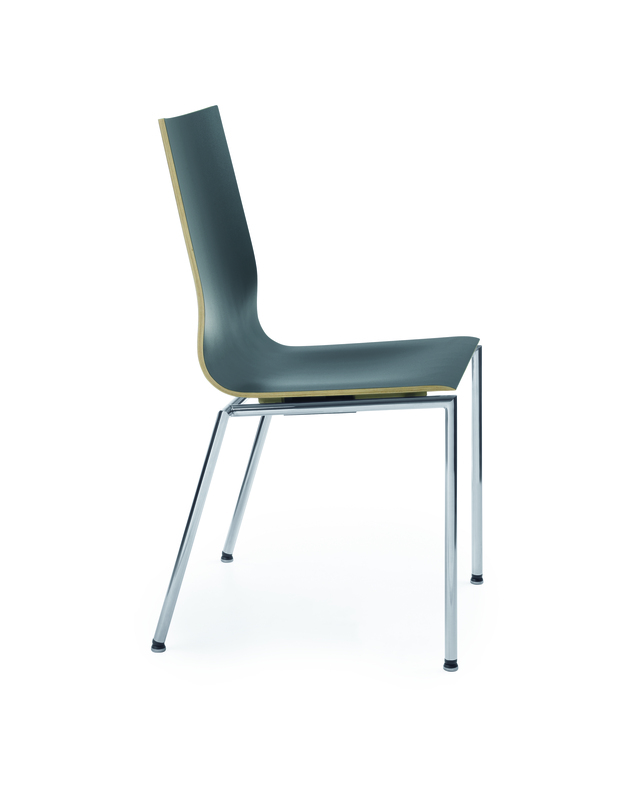 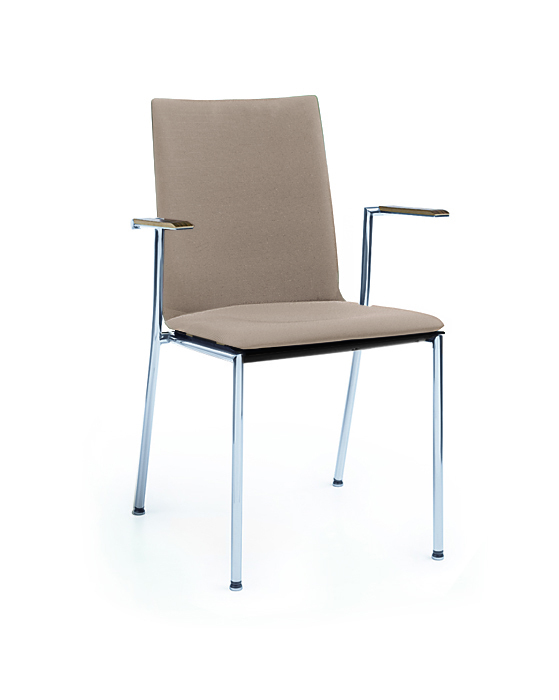 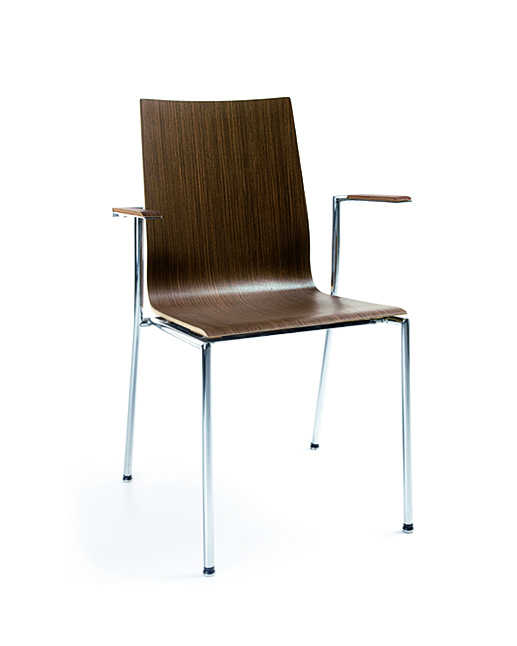 Sensi is a conference chair with a refined original design. 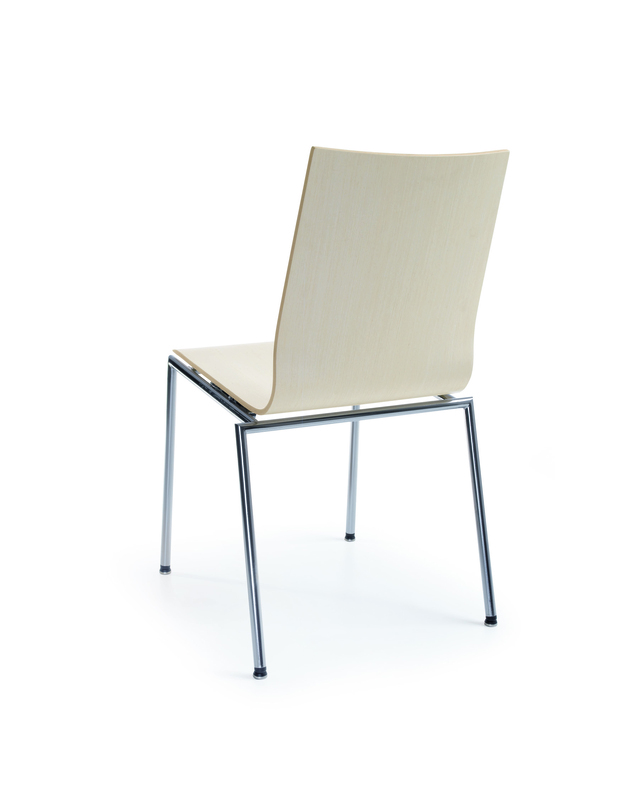 The frame structure is made of high quality materials, with great attention to detail. 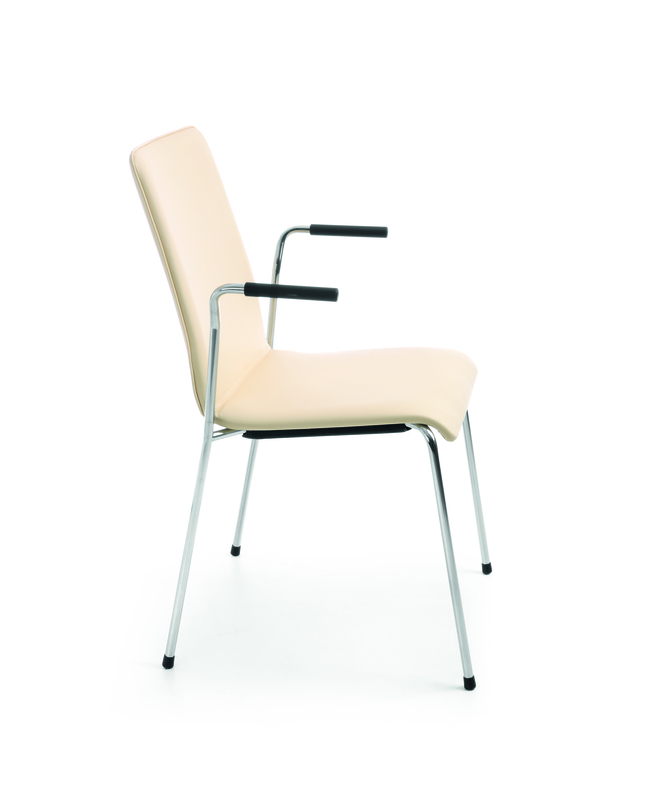 Frames are available in three colours: chromium, black or metallic. 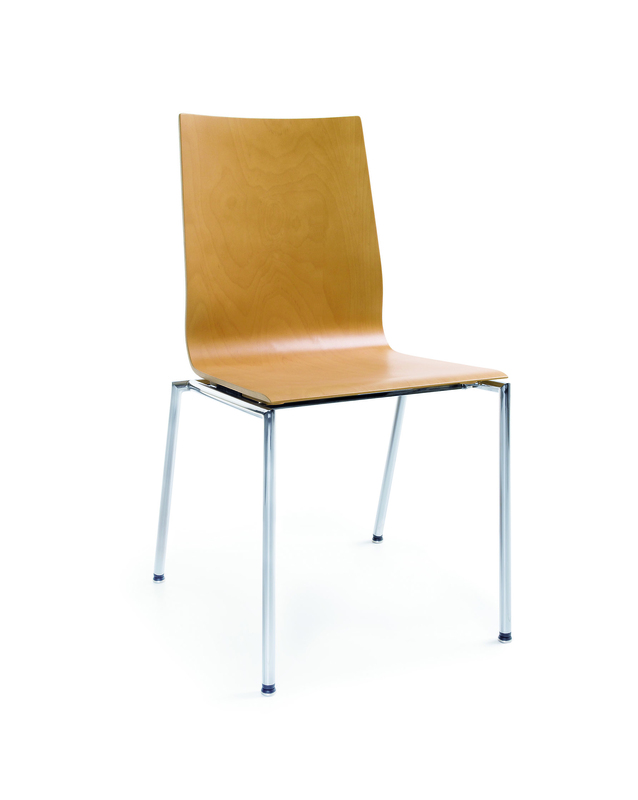 Legs are provided with flexible plastic pads. 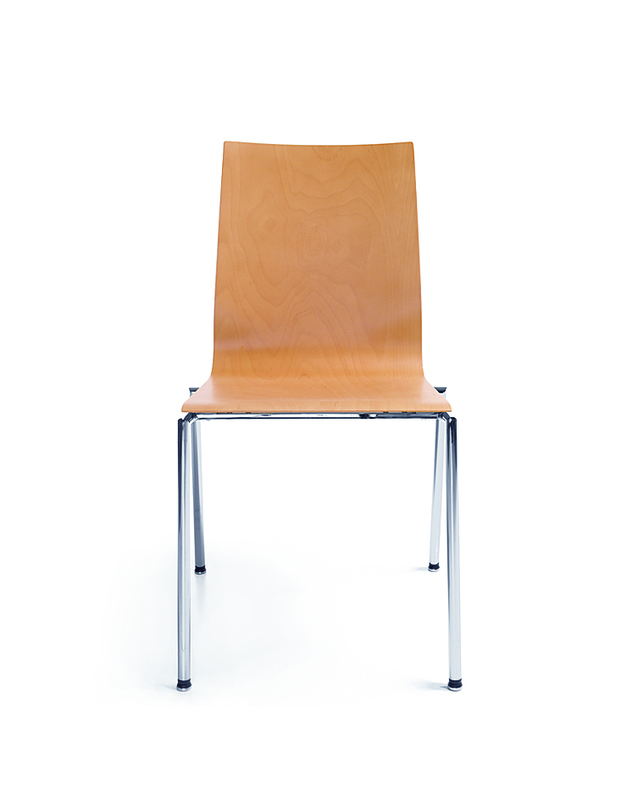 The seat and backrest make up a uniform bucket structure made of beech plywood: varnished or covered with modified veneer. 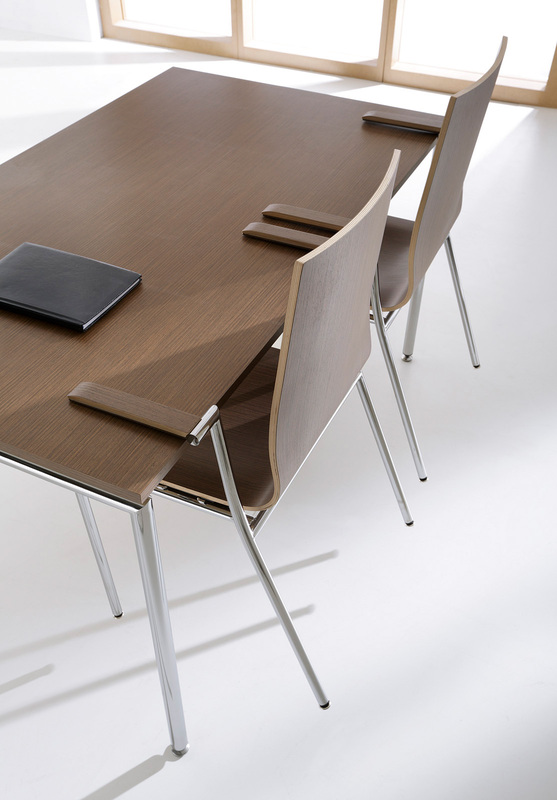 The colours of modified veneers have been selected in accordance with the newest trends. 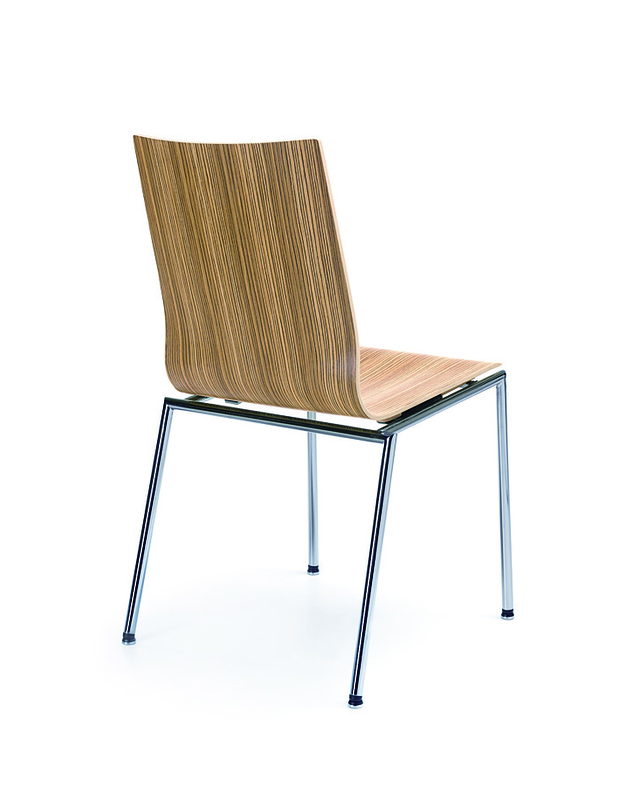 Venge, Zebrano and Birch are an excellent choice for arranging interiors in an original style. 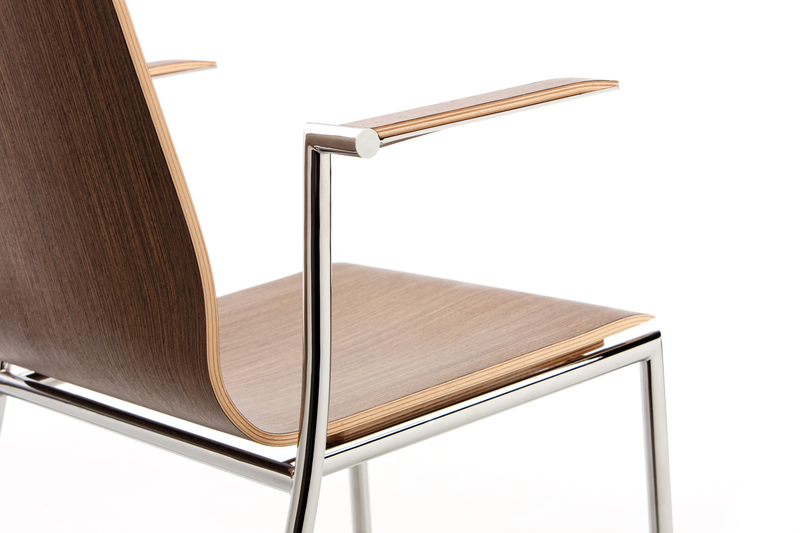 Armrests are optional accessories and come in varnished plywood or modified veneer versions to match the bucket seat. 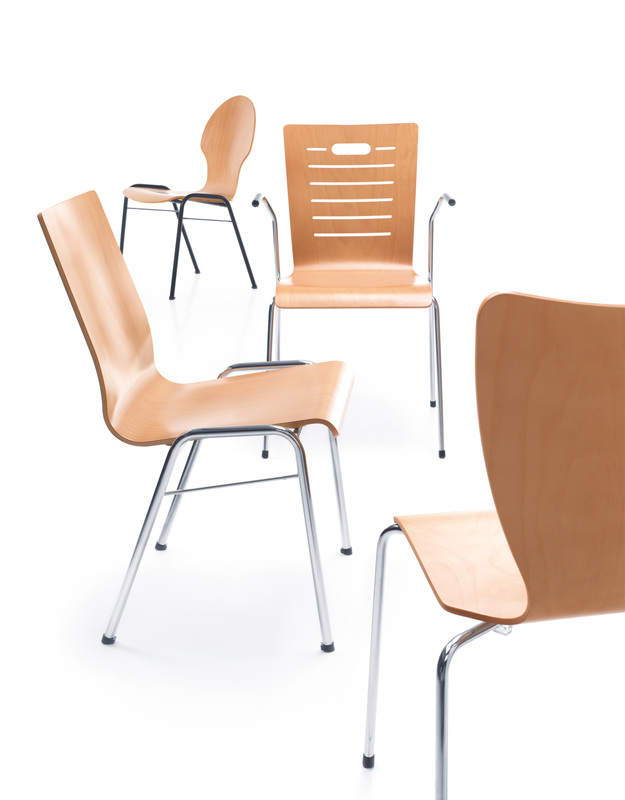 Chairs structure is designed to make stacking them easier (up to 5 chairs), what gives additional storage possibilities. 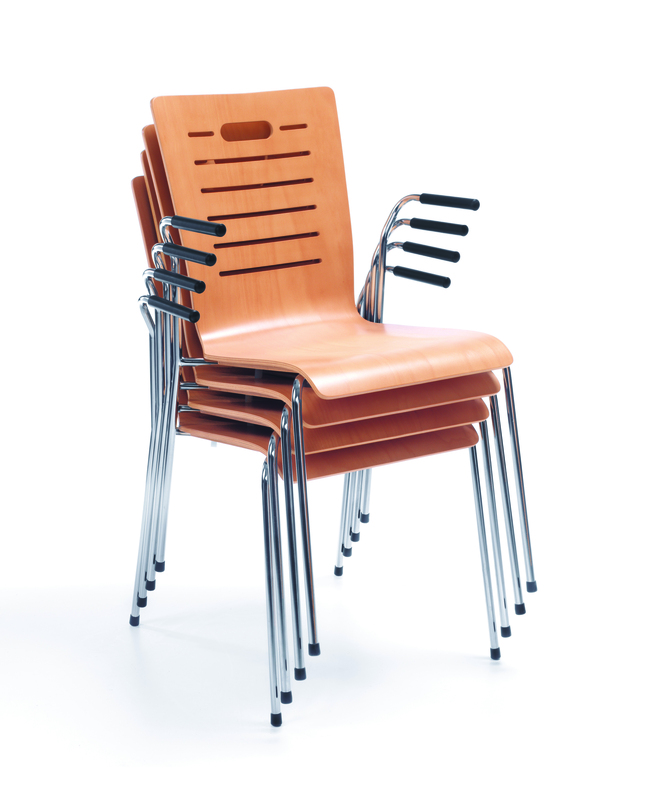 Chairs can also be joined into rows – using visually attractive metal connecting elements slid from under the seat. 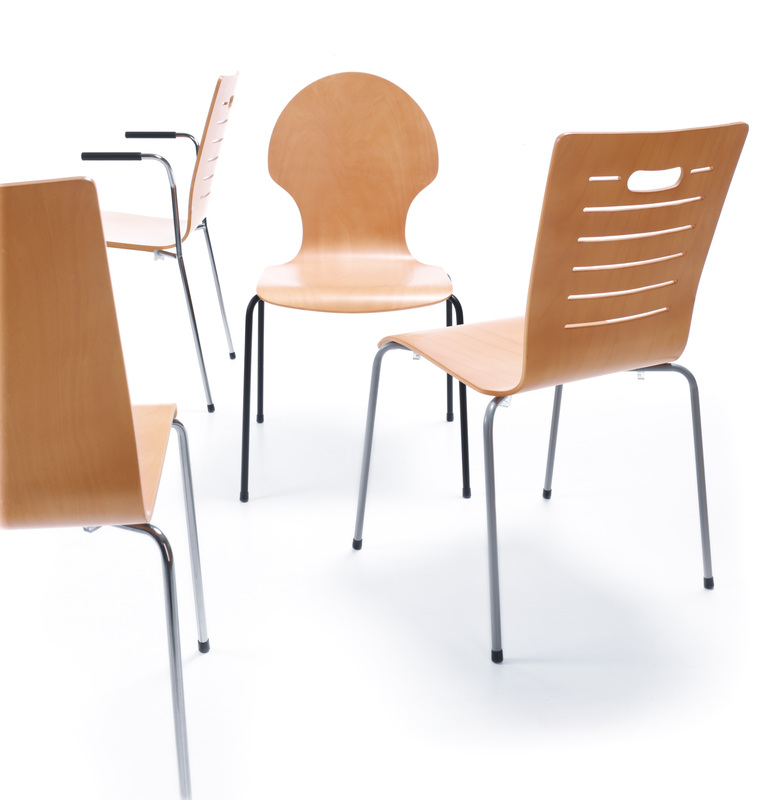 Thanks to their high functionality, chairs can be arranged into virtually any combination, while a modern colour range gives them a stylish original appearance. 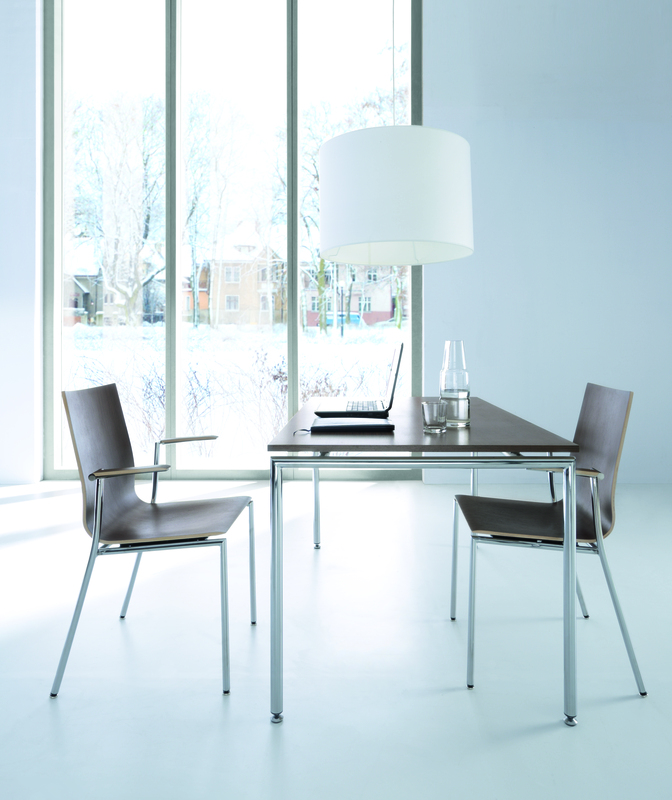 The Sensi chair collection is complemented by stackable tables available in three sizes. 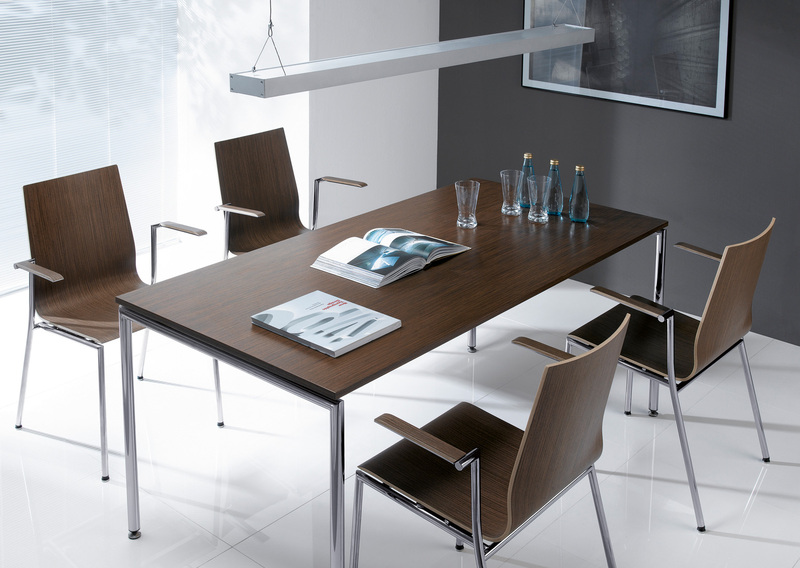 This guarantees a great variety of possible office space arrangements. 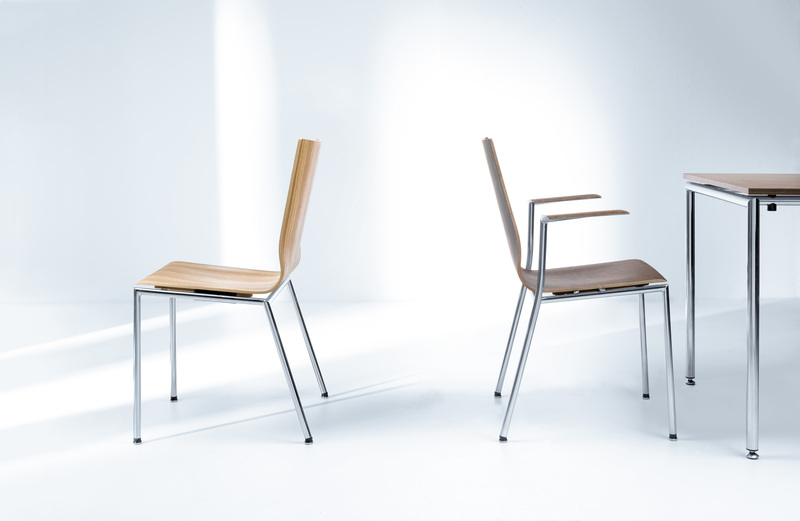 Nationwide Finalist of Good Design Competition 2010 for the best designed products and services on the Polish market.